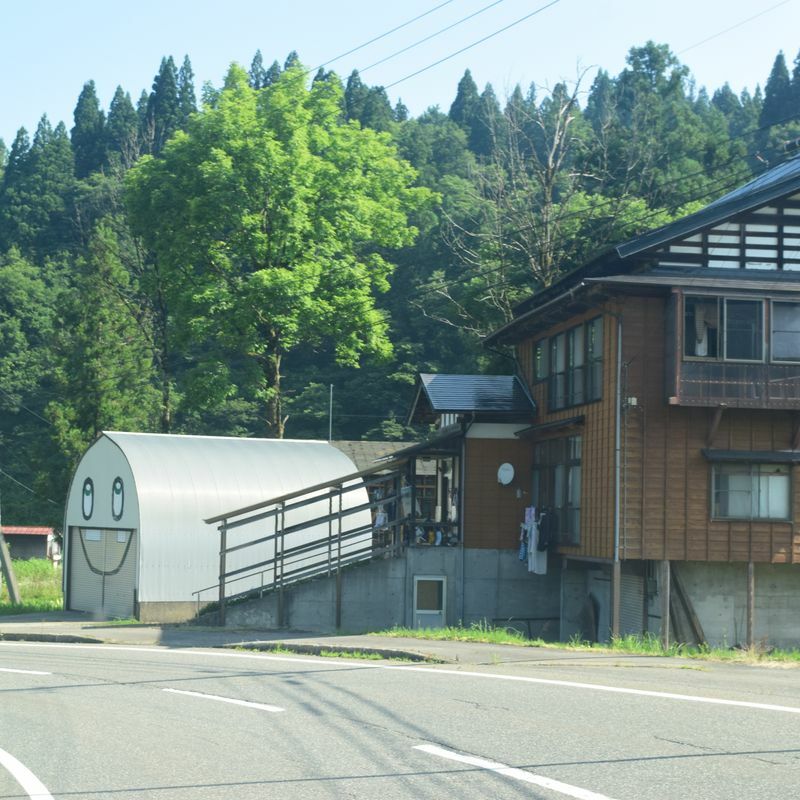 As I mentioned in a previous blog, my family and I headed out to Tokamachi to visit the Echigo-Tsumari Satoyama Museum of Contemporary Art, and on the way from Muikamachi, we enjoyed the rich nature that separates Tokamachi from our city of Minamiuonuma. There is greenery as far as the eye can see, rice fields, unique flora and fauna (I am partial to the many hawks that fly around here), and other sights that just make you say, "Daaaaaang, it's so pretty out here!" 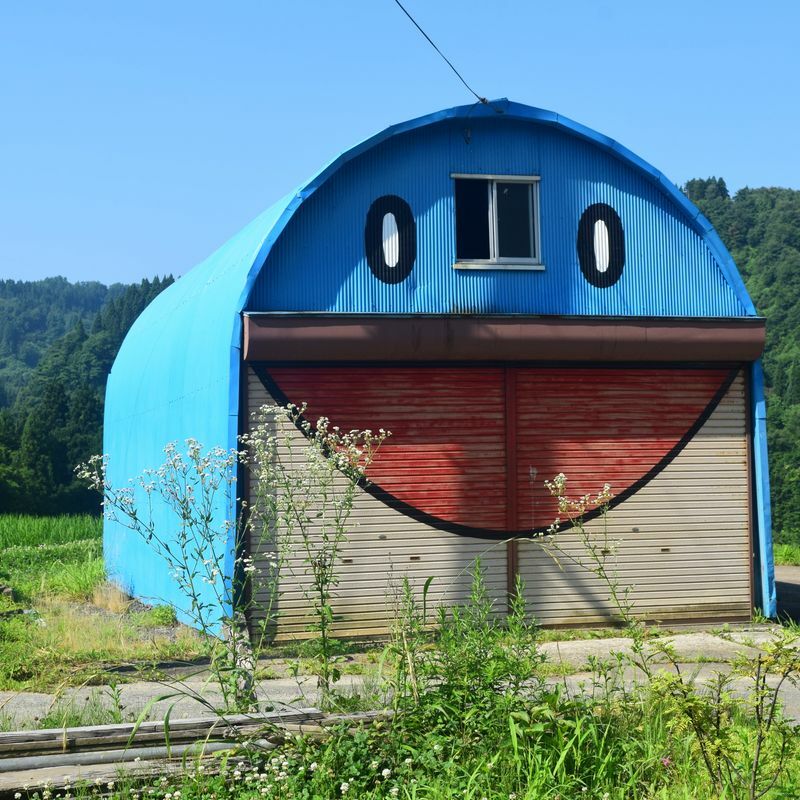 We thought, What a funny family to paint a face on their shed. How cute. We accepted it as a bunch of quirky farmers having a little fun with their sheds...until we discovered something awesome about Tokamachi related to that museum of contemporary art where we were headed: all of those sheds were done by a single artist for the purposes of the "Echigo-Tsumari Art Field." 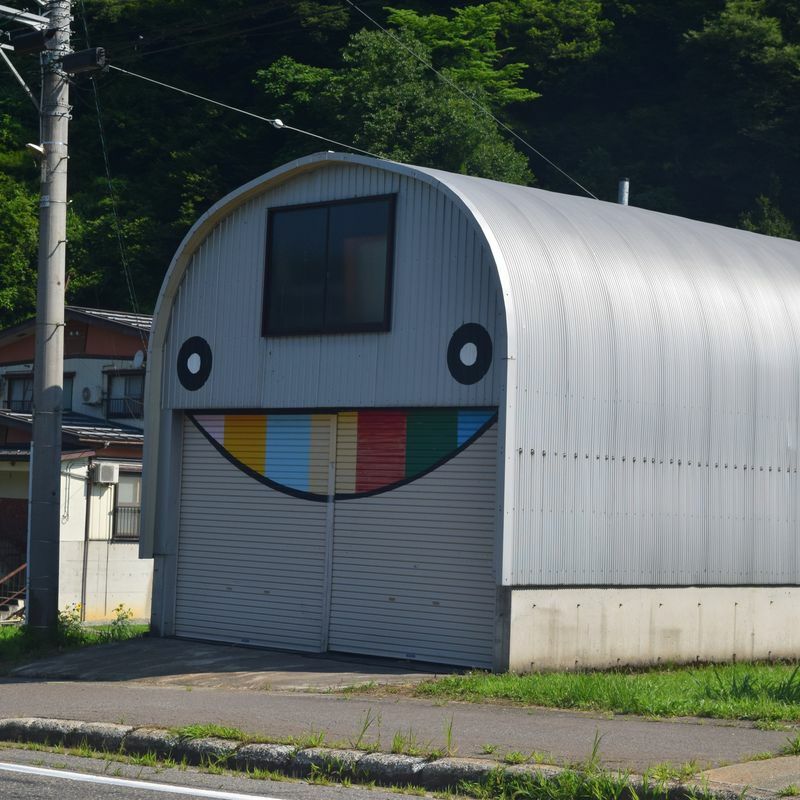 Entitled Kamaboko Face, those sheds were all the product of Yoshiaki Kaihatsu, an eclectic young artist who actually dons a mole costume and broadcasts a radio show daily out of an underground radio shelter. Don't believe me? 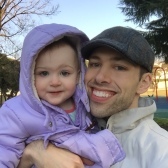 Check out the page here. 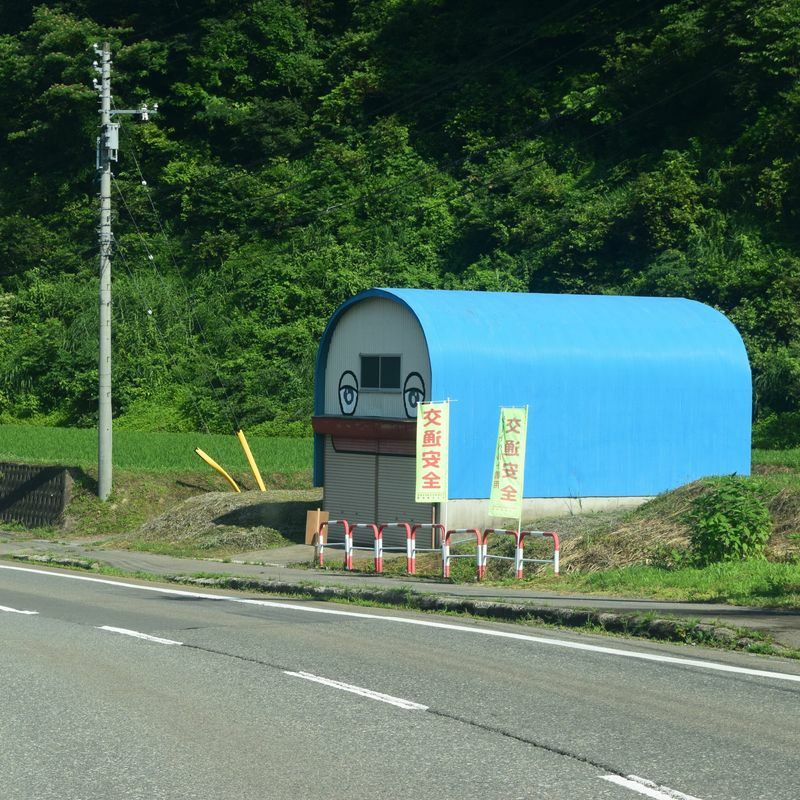 The Kamaboko Faced-shelters were only one of dozens of art exhibits scattered throughout Tokamachi, meaning that you can find artwork in some of the most random spots throughout town. Of course, you can grab a map and head to art display directly, but I did find something really charming about chancing upon it on our way to the museum! Awesome! For an old fogie I’m totally psyched by those sheds so kids should love them.